Being that nobody else has provided an easy-to-use discussion forum for the new Sport Pilot Certificate/Light Sport Aircraft Rule, I thought that I would "step up to the plate." I am a pilot for a large regional airline and I fly the Embraer 145 regional jet. While I know a lot about general aviation (part 91) and Scheduled Air Carrier (part 121) regulations, I am new to the Sport Pilot Rule/Light Sport Aircraft. These new rules hold great promise for making recreational flying more accessable and more affordable than ever. This forum will be a learning experience for me and (I hope), you too. Please spread the word about SportPilotTalk. The more members that participate, the more interesting it will become. Also - if you would like to see additional forum categories or if you have any other suggestions to improve upon what I have started - please email me. Thank you. admin wrote: Being that nobody else has provided an easy-to-use discussion forum for the new Sport Pilot Certificate/Light Sport Aircraft Rule, I thought that I would "step up to the plate." I am a pilot for a large regional airline and I fly the Embraer 145 regional jet. While I know a lot about general aviation (part 91) and Scheduled Air Carrier (part 121) regulations, I am new to the Sport Pilot Rule/Light Sport Aircraft. These new rules hold great promise for making recreational flying more accessable and more affordable than ever. This forum will be a learning experience for me and (I hope), you too. Please spread the word about SportPilotTalk. The more members that participate, the more interesting it will become. Also - if you would like to see additional forum categories or if you have any other suggestions to improve upon what I have started - please email me. Thank you. My name is John and I am thinking about flying again. I have not flown since 1992. I have been thinking that a partnership or an LSA club might be a good way to fly again at a reasonable cost. I want to learn from this forum to see if it is practical. From what I have read so far it looks like LSA clubs are rather few and far between. I would be very interested to learn if experienced sport pilots think this situation will improve in the near future or should I start looking for a LSA I can afford? I'm not sure I want to actually go up in the air very high, in something I can actually afford! Ha-Ha. Last edited by MovingOn on Thu Aug 14, 2014 8:18 pm, edited 1 time in total. MovingOn wrote: LSA clubs and partnerships might be hard to find. You just have to look. I live on the north side of Atlanta and rent Cessna SkyCatchers from an FBO in Georgia and another one in NC when I'm up there visiting relatives. As a matter of fact, I flew the NC plane today. You can go to barnstormers.com and click on "light-sport" and see what people are asking for their LSA's. Also, there is a lot of chatter about the FAA possibly eliminating 3rd class medicals or allowing licensed Private or higher pilots without a medical to fly more aircraft. If that happens, it might lessen demand for LSA's, but maybe not. It also could cause used LSA prices to drop and more to come on the market, but maybe not??? Thanks for your information. I think renting an LSA may be a very wise option. 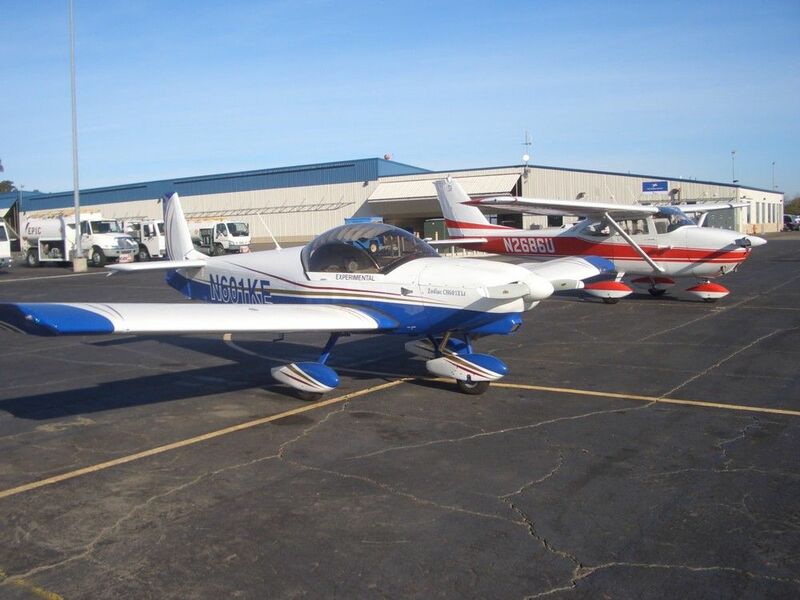 I have been reading the ads on Barnstormers and wanting to buy a plane, but after some thought and reading your post and others on this forum, I think renting like you do is probably the best option for me now. There may be an instructor in this area that will rent to me after my lessons. I read that drseti rents to some of his students up in PA.
Jringer wrote: I read that drseti rents to some of his students up in PA.
That is correct. All of my graduates are welcome to rent my SportStar primary trainer, with the understanding that current primary students get scheduling priority. Before you commit to going the LSA route, you may want to get some transition training, to see if these planes suit your mission. I offer a three-day Downsizer course that may give you an excuse to come out to central PA for a bit of a vacation, and get yourself checked out. We even have a lovely B&B just two miles from the runway, and the proprietress gives my students a nice discount. PM or email me if this interests you at all. Thank you drseti for the "welcome aboard" and your invitation to Lock Haven. I regret that I must decline the offer. It is very hard for me to leave the Richmond, Virginia area because of several obligations that I currently have. I checked the EAA instructor list and found a few in my area that I plan on contacting. One of them has an old "Champ" available for lessons that interests me. I'm going to shop around as much as I can. Again, thanks for the offer. Last edited by MovingOn on Thu Aug 14, 2014 8:14 pm, edited 1 time in total. The Champ is a great little trainer. You'll learn a lot flying it. That's what I started in (back before they were antiques!). New guy From Oregon. KOTH. I am just now ordering my King ground school packet and will be starting the Sport Pilot Life. MartyTaylor1264 wrote: New guy From Oregon. KOTH. I am just now ordering my King ground school packet and will be starting the Sport Pilot Life. Hey Marty! welcome. KOTH puts you in the North Bend/Coos Bay area, right? BE-YOO-TEE-FULL country! Last year, I flew out of Bob Starks Twin Oaks south of Hillsboro. Jon Finklea and I flew out to the coast and back, just sight-seeing. Drop a line and let me know who you're training with and what they have to fly. Good Luck! Yes it is a nice area. I live about three min. from the bay and 10 from the airport. I get to fish and fly. I am starting the sport pilot course from king flight school and then My instructor at KOTH is Asa with coos aviation.I have to find my own plane. he does not have an LSA. Although I signed up for Sport Pilot Talk ten years ago, this is my first post here. My name is Stan, and I received my private ASEL certificate on September 11, 1964, while stationed at Hill AFB, UT. In September, 2006, I let my special issuance third class medical lapse, sold my C-172, and began flying LSAs as a sport pilot. I own and fly a 2008 AMD CH601XLi-B SLSA which I recertificated as an ELSA, and for which I have my FAA LSA Repaiman-Inspection certificate. I love this little airplane, but as a sport pilot I couldn't fly it at night. This has been a major issue when flying home on a long cross-country flight bucking greater than forecast headwinds and having to land short of my destination and paying for a hotel room because night was approaching. On May 1st, like many others in a similar situation who thought going through the hassle and expense of renewing S.I. medicals was too high a price to pay for the privilege of flying a 172 after dark and settled on flying as sport pilots, I had my primary care physician give me my BasicMed physical and sign the CMEC, then I took the AOPA Self-Assessment course and test, and printed my certificate. In early July, I flew my old 172, now owned by a friend and neighbor, from KOAK to KPSP and back for the first time in a decade as PIC. It's also great to be able to fly my Zodiac after dark. I'm a big fan of BasicMed, and thank Senator Inhofe and all the senate and house co-sponsors of PBOR-2, and AOPA and EAA for finally getting it done. My Zodiac and my old 172 at LVK last December. Welcome. My second class medical expired 5/31/06 so I missed out on Basic Med by 45 days. So, I'm relegated to LSA, daytime only. Bummer. Otherwise, I would be the owner of a beautiful 1968 Mooney M20C right now. TimTaylor wrote: Welcome. My second class medical expired 5/31/06 so I missed out on Basic Med by 45 days. So, I'm relegated to LSA, daytime only. Bummer. Otherwise, I would be the owner of a beautiful 1968 Mooney M20C right now. Tim, I'm very sympathetic. I just made the cut by two and a half months and consider myself lucky. The requirement to have held a valid FAA medical certificate, regular or special issuance, on or after July 15, 2006, seems very arbitrary based on a ten year period before President Obama signed the legislation in July, 2016. IF you missed the July 15, 2006 (10 year) deadline and you can still pass a 3rd Class (regular or special issue) medical from an AME then you would be good to go under basicmed. The July 15, 2006 was a backward looking limit. Now is still now so if you can pass the 3rd now it is good until its' expiration date, then you get a Doctor to give you the Basicmed physical and keep on flying. That is the crap shoot if you happen to be on the edge.